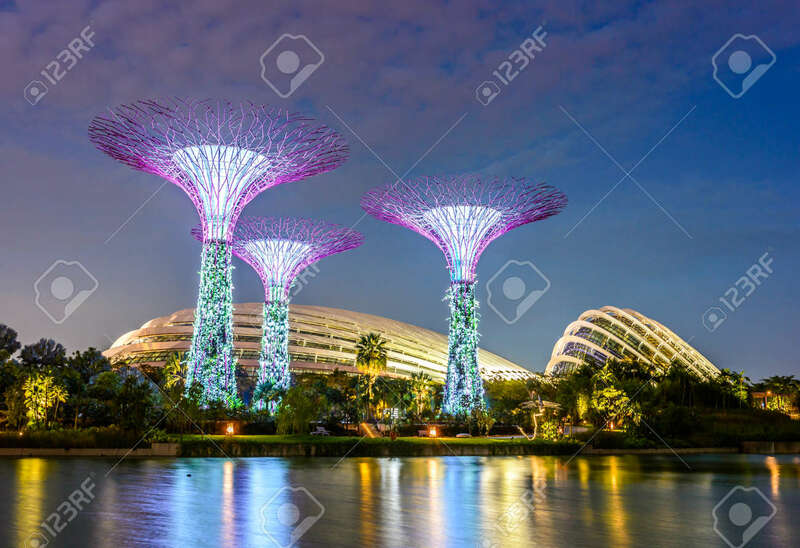 SINGAPORE - JUNE 26: Night View Of Supertree Grove At Gardens.. Stock Photo, Picture And Royalty Free Image. Image 30037902. Stock Photo - SINGAPORE - JUNE 26: Night view of Supertree Grove at Gardens by the Bay on JUNE 26, 2014 in Singapore. Spanning 101 hectares of reclaimed land in central Singapore, adjacent to the Marina Reservoir. SINGAPORE - JUNE 26: Night view of Supertree Grove at Gardens by the Bay on JUNE 26, 2014 in Singapore. Spanning 101 hectares of reclaimed land in central Singapore, adjacent to the Marina Reservoir.